Chalong Bay Rum? Sichuan Pepper Gin? 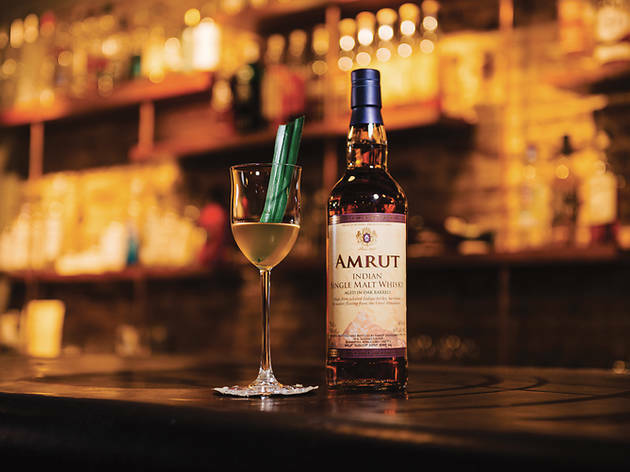 Amrut Whisky? 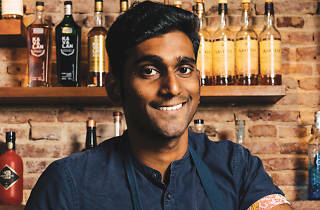 If these regional spirits don’t ring a bell, fret not – clueing imbibers in on the ongoing trend of turning to Asian-made spirits is a specialty of Vijay Mudaliar’s, who is the owner and head bartender of the hip new hangout, Native. 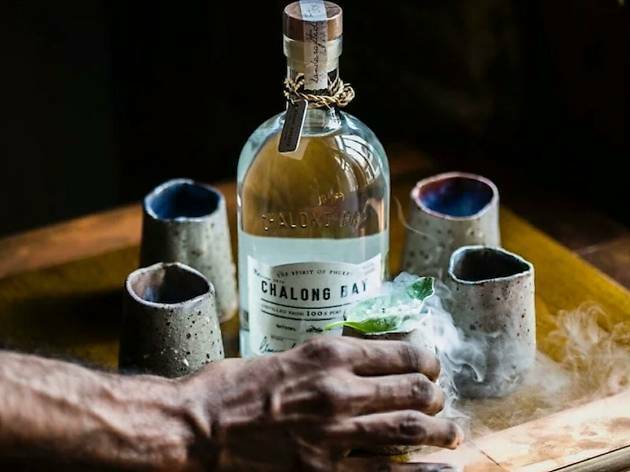 In less than a year, his small bar perched on the second floor of a shophouse along Amoy Street has already garnered critical acclaim. 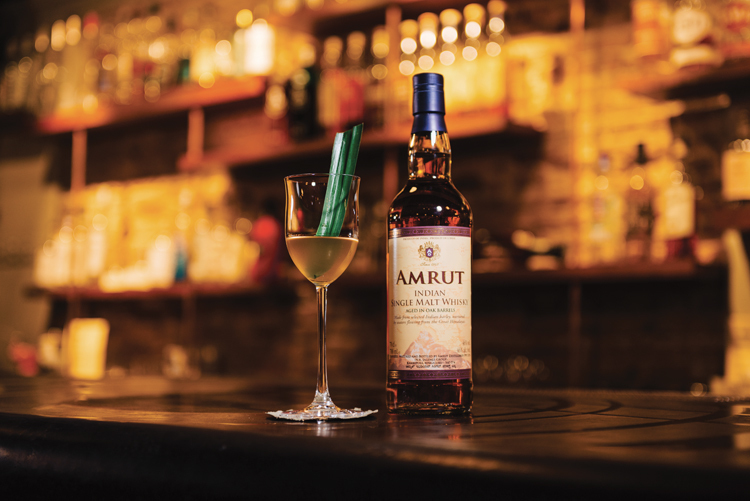 It debuted at the 20th spot on Asia’s 50 Best Bars 2017, and swept up multiple wins at this year’s The Bar Awards. Its claim to fame? A focus on all things regional, from the spirits and ingredients used, to the music, uniforms and decor. And you’ve most likely heard of it as the bar that intentionally serves ants in its cocktails. While you can have your liquor neat, it’s always more fun sipping on a cocktail. ‘Instead of offering classics, we wanted to concoct cocktails that each have a story behind them,’ the bartender beams. Take the Mango Lassi ($22), for instance. Mudaliar sources milk from a local dairy farm and turns that into yogurt, which he then splits from the whey. The whey is deployed in the Mango Lassi, while the yogurt is used in the now-infamous Antz ($23), whose calling card is a garnish of the freeze-dried insects sourced from a farm in Thailand . Both are rum-based tipples that use Old Port East Indian Rum and Chalong Bay Rum from South Bangalore and Phuket, respectively. While Native’s cocktails might be a little too complicated to recreate at home, that doesn’t mean that regional spirits don’t have a space on the countertops of your home bar. Here are three easy to follow recipes that you can shake up to impress your guests. Waiter, there’s an ant in my drink. Except at this cocktail bar, the insects are there on purpose. Antz ($23) is served with coconut yogurt, aged sugarcane juice, Chalong Bay rum and ants foraged from around Ann Siang Hill. 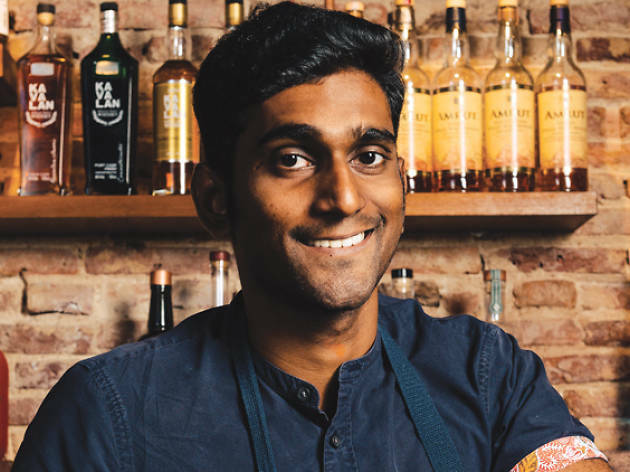 Head bartender Vijay Mudaliar showcases spirits from around the region, and occasionally deploys foraged ingredients to add pep and zing to his cocktails. We hear he's also experimenting with distilled gins and that the matcha is a hot favourite.